Should you buy an airplane or train ticket or get behind the wheel of your car and drive to your destination? The answer to this question depends on many factors. Let's take a closer look at the pros and cons of road trips. You control your departure time, arrival time, itinerary and stops along the way. You don't have to pay attention to train schedules or airline routes as you plan your trip. If you see something interesting on the side of the road, you can stop and take a look. That is, if any airlines still offer real food. Instead, you can stop at a restaurant, pack a picnic or swing through a drive-through. If you don't like a particular place, you can just drive away, and you can linger at places you love. Taking a road trip allows you to get off the beaten path and see actual communities and natural wonders, not just a train track or superhighway. Meandering through the countryside is a great way to relax and find out what it's really like to live in a particular area. Farmers markets, local festivals, and state parks are yours to explore. You can use the back seat, too, unless a fellow traveler is sitting there. You don't have to pay extra to bring the items you need, either. If you plan to bring camping gear or sports equipment, packing it in a car is easier than transporting it by bus or train. Even when you factor in wear and tear on your car, going on a road trip can be a frugal way to travel, especially if you're traveling with a group. Taking four people somewhere by car is usually less expensive than buying four round-trip airplane, bus or train tickets. Driving is one of the slowest ways to travel between two points, especially between large cities with good rail and airline service. If you are planning a city-to-city trip, you can save time by taking the train or flying to your destination. From route planning to prepping your car to navigation to spending hours behind the wheel, it's all up to you. Sometimes it is easier to let someone else do the planning — and the driving. In some cities, finding parking can be very difficult. High city parking rates are not fun to deal with, either. For solo travelers in particular, taking a road trip might not save you money, especially when you factor in gas, tolls, parking, meals, and lodging along the way. Getting stranded in a snowstorm is not a fun way to spend your vacation. Neither is coping with flood-related road closures or watching a tornado form just a few miles in front of your car. Even worse, you might break down while on the road, far away from your reliable mechanic. If you drive an older car, you might need to rent a car for your road trip, which is a more expensive option. It is always a good idea to break out your trusty calculator and add up your travel costs before deciding how to get to your destination. 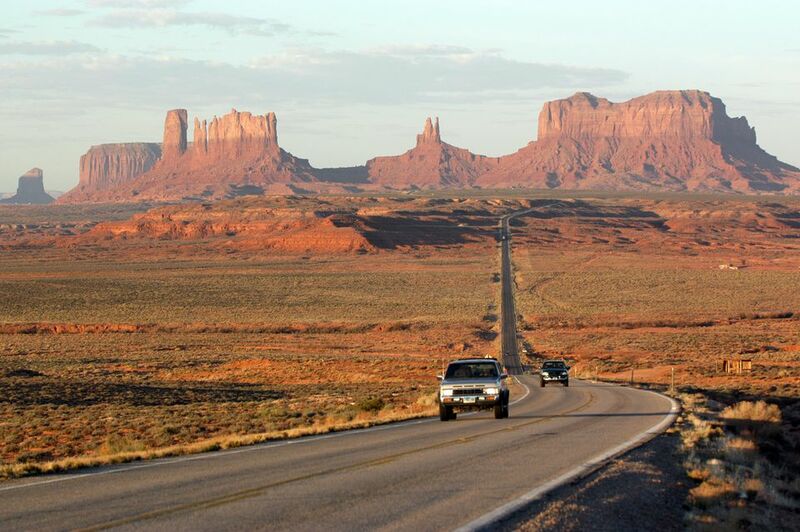 Traveling by car is not necessarily the cheapest or easiest way to go. You may decide that time is more important than money. In this case, flying might be your best option. Taking the train might be a better choice for city-to-city travel, especially if you will not need a car at your destination. However, if you really want to get to know a particular place, driving is probably your best bet, even if it takes longer and costs you more. Carefully consider your needs, wants and transportation options before making your final choice.